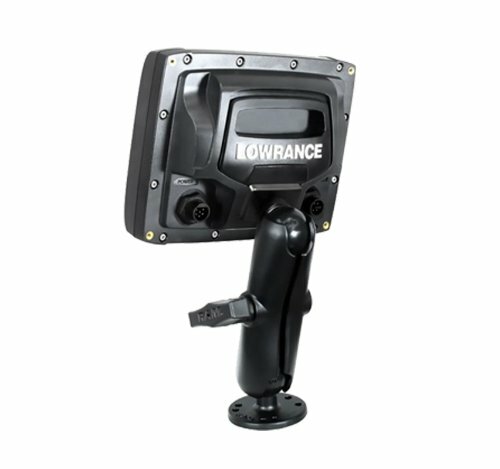 The 1.5" Ram mount from Lowrance can be used with mark, elite and hook 5 units. The special design features a quick-release adapter ball with mounting flange that custom-fits the receiver Slot on the back of 4- and 5-series head units. 1.5" ball for rough-service applications.